Here at Davis it’s all about the superior service we provide to our customers. 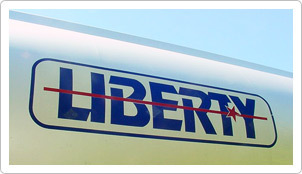 It’s our mission and policy to have a trucking operation that is safe, clean, and reliable with 24 hour, 7 day a week availability to serve our customers. Since then we have earned a reputation for our reliability, excellent service, and dedication to our customers. 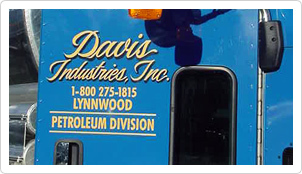 At Davis Industries, Inc. we would like our customers to know, we are here to provide the best customer service possible. 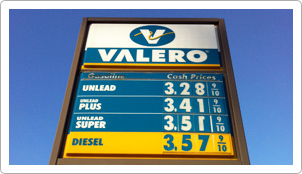 Competitive pricing and quality service are standards our existing customers have come to expect. We also offer discounts for the first month of service! Our dependability is second to none. We have our own fleet of trucks based in Lynnwood that run 24 hours a day, providing product to you and your customers when you need it. We have a four store chain of retail sites that cover from North to South of Whidbey Island. All of our stores offer a large selection of snacks, chips, cold beverages, coffee; ATM’s and fuel throughout all of Island County. We have locations in Clinton, Bayview, Coupeville, and Oak Harbor. Stop by and see on of friendly cashiers today.